Thinking of going there in September, any of you been there yet? We´ve been looking at this hotel, it looks amazing and the view is divine! I´m looking forward to it already, all the sun bathing, the caipirinha sipping and the lazy days… Oh, holiday! I enjoyed 7 degrees outside and with the sun peeping out today it felt like spring! 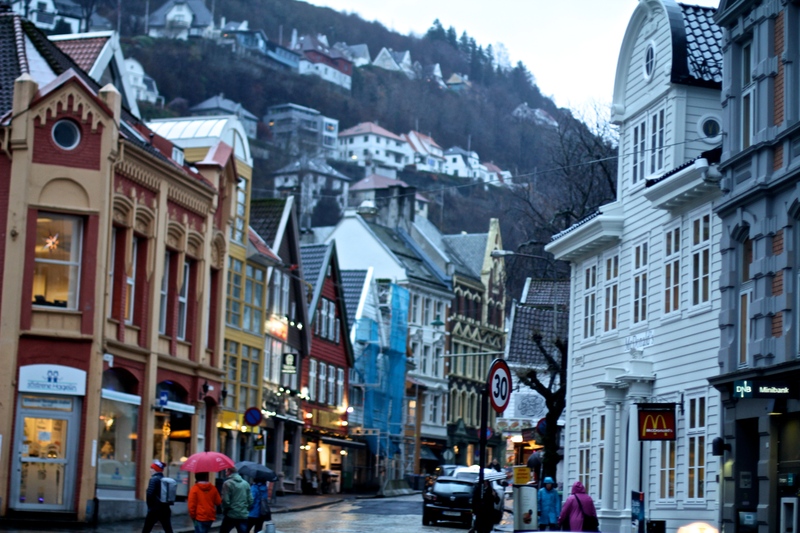 Stavanger is a small and intimate town, so you get to really feel the holiday mood. I went to Stavanger to interpret in court and instead of rushing to and from the airport, I decided I should book a hotel room and travel a day in advance. So I had time for dinner with a friend yesterday and lots of time to do whatever I pleased today. Except for the hour at the court house. It was the best idea I´ve had in months! ;-) Not only did I get to relax a bit, but I also found time to do some work at a brochure translation. I ate lots and took many scenic pictures, unfortunately I didn´t think of bringing our camera with me, since this was like a “business” trip- haha! I should do this more often. You don´t need a whole weekend to visit another place, sometimes a day away is enough. Now a 100-acre organic farm, Community Culture Retreat was a former ruin, restored by Pedro Ressano Garcia to reflect the Community Culture concept. The courtyard has two houses and it concentrates on sharing a culture of organic production, hospitality and gastronomy. The key achievement of the project was redefining already existing buildings and making do with what materials were available. Community Culture Retreat has 7 rooms and a library and hall for seminars, concerts and workshops. Relax by the pool, enjoy a secluded room or take part in a harvest. Don´t mind if I do!